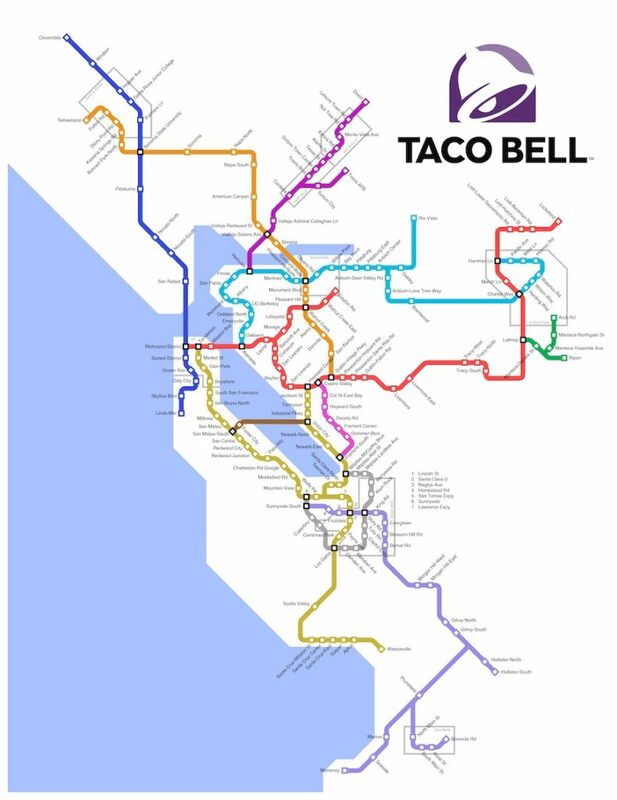 Taco Bell has a way better transit system than those Dumbasses at Bart. It would knockout so much traffic in the Bay Area. Should fire the Director of Bart and save hundreds of thousands of salary dollars. And hire the Franchise Director of Taco Bell. Name the system:T.B.R.T. And sell theirr food at every Station. They would make so much money, they can keep the fares at a fair price. Indeed taco bell has a better transit system. I agree.